Despite the widespread popularity of his novels and short stories, Hawthorne suffered financially from the lack of international copyright protection. Unauthorized editions of his books were published abroad, and he never earned more than $1,500 from his sales at home, largely because the market was flooded with cut-rate editions of works. 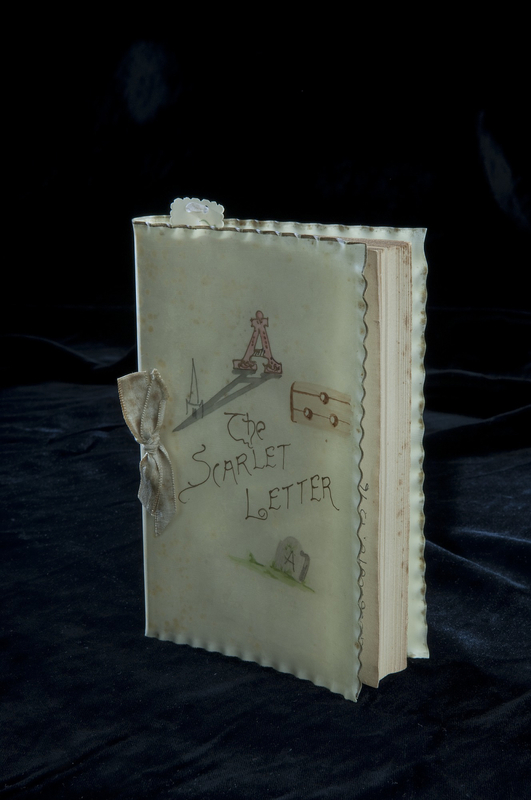 “The Scarlet Letter,” Digital Public Library of America, http://dp.la/item/3128366b5bfcdb56a4e122e0a9573615. Courtesy of National Museum of American History, Kenneth E. Behring Center via Smithsonian Institution.